There's lots to love about Lake George, but sometimes it can be hard to track down everything you want to know. Below, we have several frequently asked questions that we regularly get from our readers. Browse through the answers, and if you still can't find what you're looking for, contact us! I'm planning a trip to Lake George. What types of things will be going on when I'm there? To find out what's going on during your time in Lake George, check out our Events Calendar! It's updated daily and even includes events in nearby areas, like Saratoga and The Adirondacks. Can I visit Lake George with my dog? Yes! Lake George has many lodging options that are pet-friendly, as well as several restaurants that welcome well-behaved dogs on their outdoor decks and patios. Visit our Pet-Friendly Guide to find more information about area veterinarians, emergency clinics, pet supply stores, daycare facilities, and more. Are there any accommodations offering specials or packages? You'll find an extensive list of current Lake George lodging specials here. What coupons do attractions and businesses have available? Find discounts to many Lake George area businesses, services, and attractions when you browse our list of current coupons. What types of things are there to do in Lake George with kids? There are lots of kid-friendly things to do! Check out our Kids Guide for a directory of kids' activities and attractions, itineraries for kids and teens, water-based attractions to help you cool off during the summer heat, and more. Is there anything to do in Lake George in the winter? Yes! Lake George is a year-round destination, and there are many lodging options, restaurants, and attractions that stay open year-round. One of the highlights of winter in Lake George is the annual Winter Carnival, which takes place every weekend throughout the month of February. There are also tons of cold-weather activities to take advantage of. How do I request a printed Visitor's Guide to Lake George? You can request a free printed Visitor's Guide through the Lake George Regional Chamber of Commerce by filling out a form on their website. How big is Lake George? Lake George is 32 miles long, 3 miles wide, and reaches depths of nearly 200ft, making it an incredible destination for boating, fishing, and other watersports. What will the temperature be in May? August? November? February? There are several public and private launch sites where you can launch your boat into Lake George. Keep in mind that there are strict inspection and decontamination regulations you must meet before launching. How do I reserve an island campsite on Lake George? To reserve an overnight campsite on one of Lake George's islands, you must book through ReserveAmerica. The process opens each November for the following summer, so make your reservation early to ensure you get your first choice of site. Where can I find public charcoal grills in Lake George? From Lake George Village to Bolton Landing and beyond, there are a few different public parks and areas where charcoal grills are available for use. Where can I park in Lake George Village? How much does it cost? How can I get around Lake George without a car? If you took public transportation to get to Lake George, or would prefer to travel around the area without having to worry about parking, there are multiple transportation options to consider. 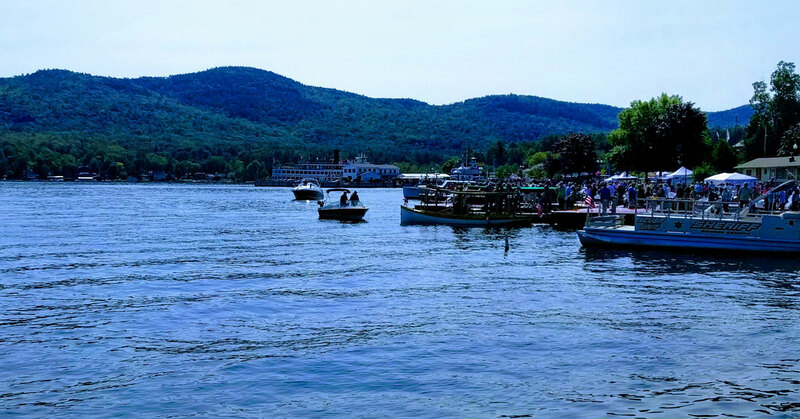 Lake George has several reliable taxi companies and car services, as well as ride sharing. Greater Glens Falls Transit also operates a public trolley throughout the summer. Where is the best spot to watch the fireworks? Most Thursdays during July and August feature spectacular fireworks displays around 9:00PM. 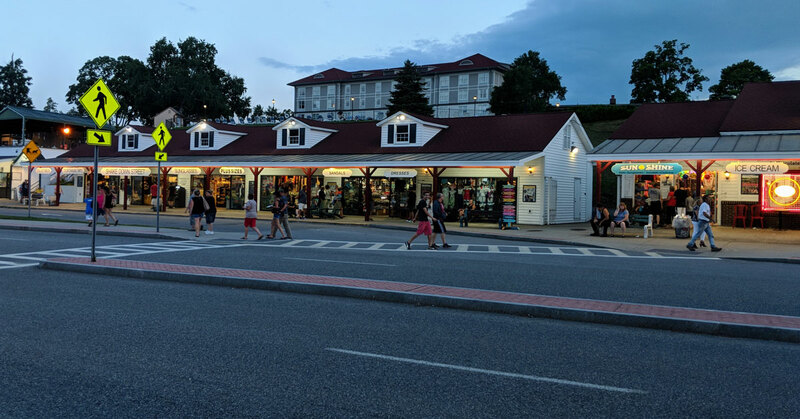 The best place to watch the fireworks is in Lake George Village along Beach Road (near the steamboat docks) or on the stretch of waterfront between the Visitors' Center and Shepard Park. If you have a boat, you can also catch the fireworks from the water! Are the fireworks ever cancelled? How will I know if they are? Thursday night fireworks are sometimes cancelled due to inclement weather, including heavy rain, strong winds, and lightning. If there is only a light rain, it's likely that the fireworks will be held as planned. 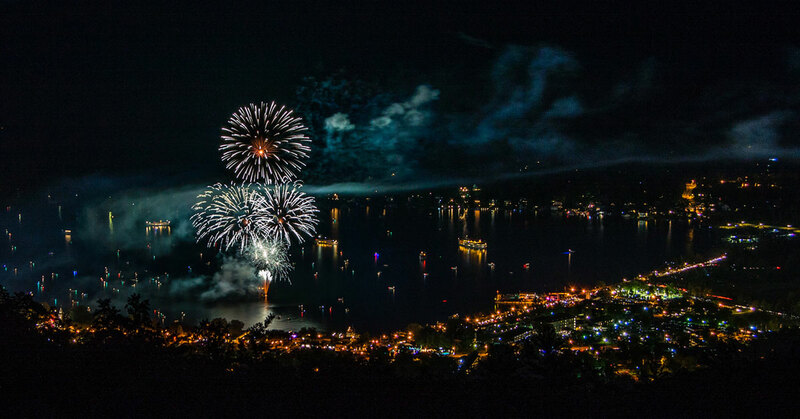 The fireworks are no longer operated by the Village, but by the Lake George Steamboat Company. You can call them to see if the fireworks are cancelled at 518.668.5777. I'm thinking about getting married in Lake George - where do I start? Congratulations! The best place to start is at LakeGeorgeWeddings.com, where you will find information for your before-during-and-after wedding plans, tailored specifically for the couple who wants to make it official in Lake George, NY! How do I rent one of the red trolleys for my wedding or other private event? Greater Glens Falls Transit operates the trolleys, so you'll want to contact them at (518) 792-1086 for more information on using one at your event.